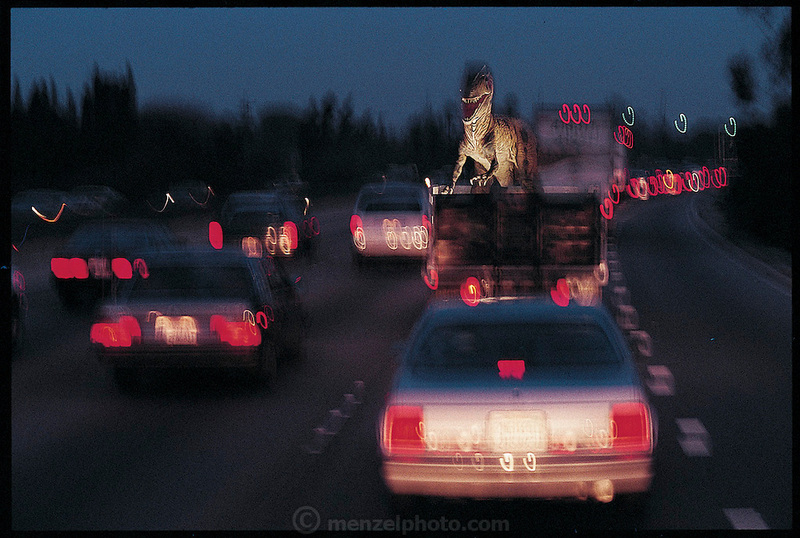 Animatronic robotic replica of an Allosaurus dinosaur returns from the paint shop to the Dinamation factory via freeway in Orange County, southern California. Dinamation makes robotic dinosaurs for museum displays around the world. From the book Robo sapiens: Evolution of a New Species, page 17.